Lucille Johnson, number 2 in checkered coat. Ca. 1920. 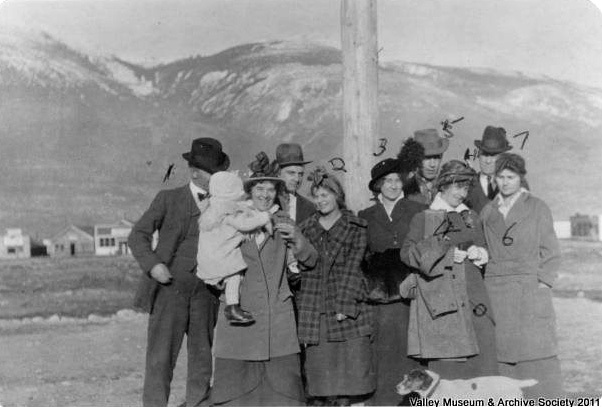 Courtesy of Valley Museum and Archives Society, McBride. Lucille Johnson was perhaps the first woman to climb the mountain. Her parents ran the first hotel in McBride. In 1982 she was living in Florida.